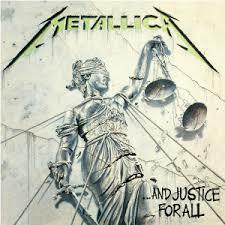 Overview: Found contrasting image on a whim by googling “justice for all,” which is the name of the Metallica album from 1988. I believe I will stay with this image and compare it to my original because it displays, I believe, a more realistic version of how justice and the law were presented when the album was released and how the law/justice is perceived today. Ex: paragraph about scales, blindfold, sword, strings, etc. Is justice just an ideal? Something to strive for, or can it be achieved? How is it achieved? How is justice conveyed to the general public? Is there one definition of justice? Can it be molded to different situations? Is it circumstantial? What is the importance of the difference between these two representations of the same object? Why did Metallica feel the need to manipulate this image, or make an album that completely revolves around it? How was the album received? Have circumstances changed since the late 80s, or are the issues that were prevalent back then that inspired this album cover still present today? Or are both illusions? 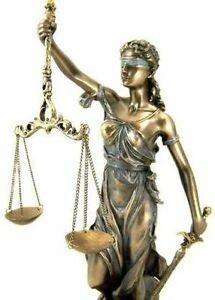 Do the details on either statue misrepresent what is true about the law and justice system? Should we be blind to what is in front of us? Does that truly make us objective? Can we really make decisions or form opinions by separating the facts from the emotions and context and etc., can decisions be made that simply?